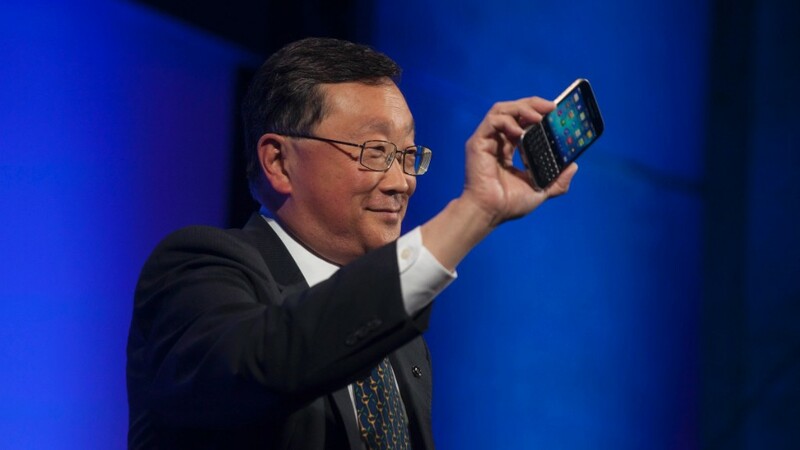 BlackBerry (BB) reported profits and sales Friday morning for its latest quarter that topped Wall Street's forecasts. The stock was up more than 15% in late morning trading on the news. Chen said BlackBerry is working hard to win more customers in the automotive market, pointing to a deal it announced in January with Chinese search engine giant Baidu (BIDU) to jointly develop self-driving cars. The company, under Chen, realized a few years ago that it was a losing battle making devices that generated razor-thin profit margins at a time when Apple (AAPL) and Samsung (SSNLF) dominate the smartphone race. So what's next? Chen said he's hopeful that BlackBerry's new Spark security platform, which is kind of like instant messaging on steroids, can make a bigger presence in the health care market. Spark integrates video chat, texts and other forms of media.